Will they exceed the most stringent energy efficiency targets and help minimise ongoing heating bills? Are they available in a wide range of styles and colour choices? Master Plastics range is different to other systems on the market – being designed from scratch to take advantage of the very latest developments in window engineering technology. Combining high-tech design and engineering with the flexibility to create an individual appearance for every home, the our system pushes the boundaries of possibility with a range that doesn’t even need to look like PVCu. And with the patented double-action bubble gasket offering a continuous seal, even in the corners, draughty windows are a thing of the past.We manufacture a huge selection of uPVC windows at our factory in Bristol. Styles include Casement, Flush Sash, French, Tilt & Turn, Bow & Bay. Available in many colours with the choice of hardware. For the best prices call us on 0117 971 9922. 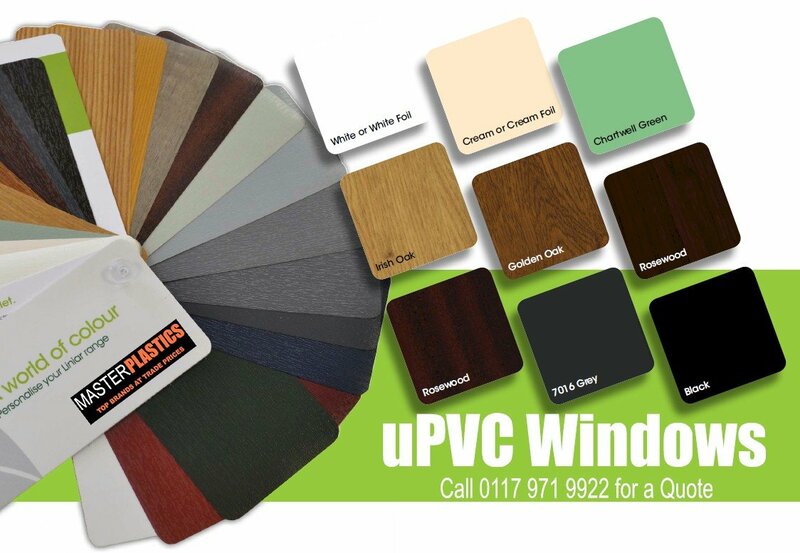 Gone are the days when PVCu windows were only available in white. We offer coloured wood-grain foils which are fitted as soon as the plastic has been extruded in the factory, using the very latest in machine tooling – so you may find it difficult to believe the frames aren’t made of wood. The brand new ‘flush sash’ window offers the aesthetics of a traditional pre-1932 timber window, with the sash fitting flush into the frame. Or if it’s a modern appearance you’re after, you could go for one of a shade of flat grey to achieve a contemporary look that delivers the highest thermal efficiency. Available in sculptured (curved) or chamfered (flat) profile, the our ranges can be tailored to make sure you achieve exactly the look you’re aiming for - from a small single casement window to huge arched church windows. We are a Liniar approved manufacturer, producing ‘A+’ rated windows as standard, together with the most advanced safety features on the market. We will listen to your requirements and produce exactly what you need, subject to building regulations. Our range of windows are lovingly manufactured at our factory in the heart of Bristol, With a wide range of coloured foils and finishes available, the choice is entirely yours. Whether double or triple glazed, our windows outperform most of the other leading windows in the UK – mainly due to our innovative uPVC multi-chambered and symmetrical profile design. Our windows and doors can achieve an ‘A+’ rating*, which means you’ll be able to enjoy a warmer and quieter home as well as lower energy bills. Our window profile is made from 100% lead-free PVCu – better for the environment and better for you and your family. You no longer have lead in your petrol or paint, so why choose to have frames containing lead? Whether you are aiming for a traditional look or a more contemporary style for your home, our range of windows has something to suit everyone’s tastes. Available in a variety of styles and designs together with a wide selection of attractive colours ranging from standard white, cream and rosewood to grey, black, and Chartwell Green amongst others. Not only are our windows ‘A+’ rated for energy, they also meet the highest security standards and are manufactured in the UK – showing that our windows have plenty of substance as well as style. The window range offers complete flexibility, whatever the room or the size of opening you need. Your home should be a safe haven – that’s why all our products are designed, tested and certified to meet the highest standards of security. 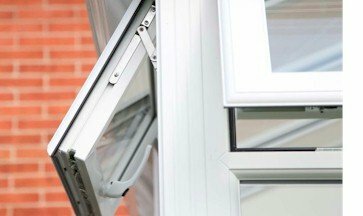 We offer a range of different hardware on our windows, and you can rest assured that the design features built into our windows will offer the maximum security to your home. Child restrictors can be fitted to almost any window to give you extra peace of mind that your little ones will be safe. A police-backed initiative, Secured by Design status is awarded to products designed with exceptional security features as their main priority. Liniar products that hold this certification are tested to meet the requirements of the Association of Chief Police Officers. The BBA (British Board of Agrement) is the UK’s major authority offering approval of construction products, systems and installers. The Liniar window system has been certified and approved, proving its quality to architects, engineers and specifiers in the UK. Whatever the age or style of your home,there’s a window for you. 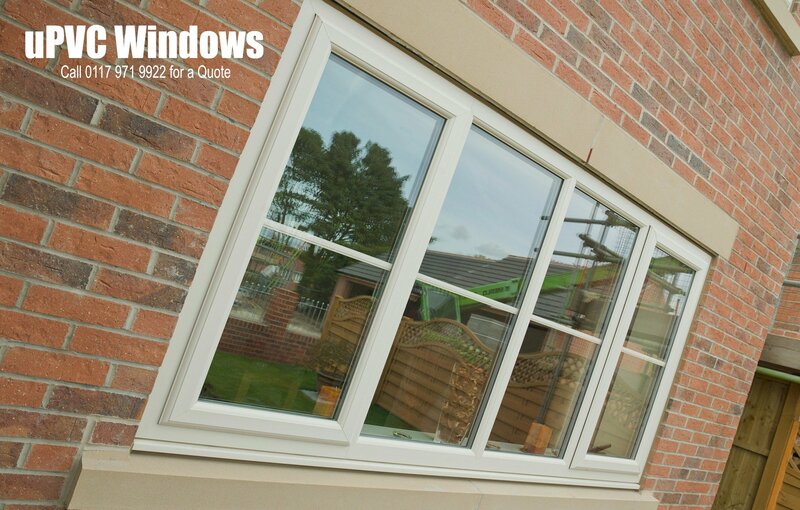 Casement windows offer total versatility and are still the most popular choice available today. The traditional British window style offers slim sight lines to allow in maximum light. You can say goodbye to draughty windows as the patented double-action bubble gasket, used in all our products, gives a continuous seal - even in the corners. To add character you can add astrigal bars or Georgian bars. Our range is available in a wide configuration of openings, colours, finishes, glass and hardware, which means you’ll be adding your own individual mark on your home’s appearance. Our flush sash window, like the rest of our EnergyPlus window range, is ‘A+’ rated, offering a lower cost window with higher thermal benefits than timber – in addition to being fully secure and available in a huge choice of colours. The sash horn windows provide the traditional style of yesteryear combined with 21st century materials, offering superior performance and functionality. Sash horn windows preserve the classic look of wooden box-sash windows while maintaining the authenticity of any property. They are designed to achieve the highest levels of weather-tightness and resistance to draughts. Made to compliment our casement range, the sash horn window looks like a traditional sliding sash but performs as a casement - giving you the best of both worlds. The high security shoot bolt locking systems provide unparalleled protection against break-ins and the windows can be customised with accessories such as Georgian bars for an individual appearance. Choose from different styles and colours to get exactly what you need. The innovative bay and bow windows offer a number of features and benefits unrivalled in today’s market place and are available in a range of styles. The ultra-slim frames of our beautiful windows increase the flow of natural light as well as creating an enhanced field of view. Not just available in standard white, the Liniar range can be personalised to suit the style of your home - as well as its colour scheme. Child restrictors can be fitted to almost any of our windows, for your peace of mind – ask for more details. Optional hinge guards add a further level of security to your windows, preventing the sash being forcibly opened from the outside. We will be delighted to show you the wide range of handles that can be used on our products, so you can select the options to best match your interior. We can also show you the wide range of glass and glazing options for your windows, to truly tailor them to your specifications.